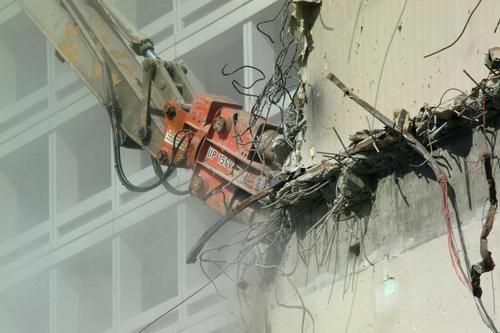 Northside Demolition recently carried out a contract direct to Huntingdon Life Sciences, Alconbury. Works involved the strip out of 6,000 square feet of former laboratories on the first floor of one of their existing buildings on the site. The contract entailed the removal of walls, ceilings and M&E associated with the former labs along with fume cupboards. The ground floor and adjacent first floor were all occupied and operational during our works. The works also included the removal of a 10m long former lifting beam, a third of which was outside the actual building. The contract was completed successfully and we have a demolition contract to start with the same client on that site of redundant laboratories. For more information on our expertise please contact us today.